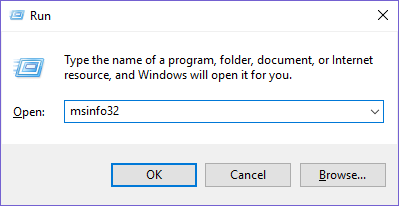 In some cases, the Support staff will request you to generate an MSINFO32 .NFO file. This file contains detailed information on your PC&apos;s hardware and software specifications which they can use to diagnose and troubleshoot the issue you are currently having with the Player App. Go to Start Menu > Run or press the ⊞ Windows Key + R on your keyboard. 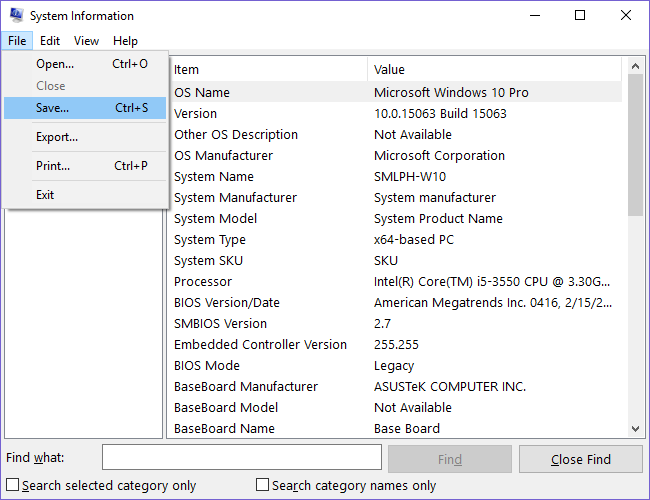 On the Run prompt, type msinfo32 then click OK.
On the System Information window, select File > Save. Browse to a folder, type in a filename then click Save. It&apos;s recommended that the folder and filename you choose can easily be remembered and accessible. 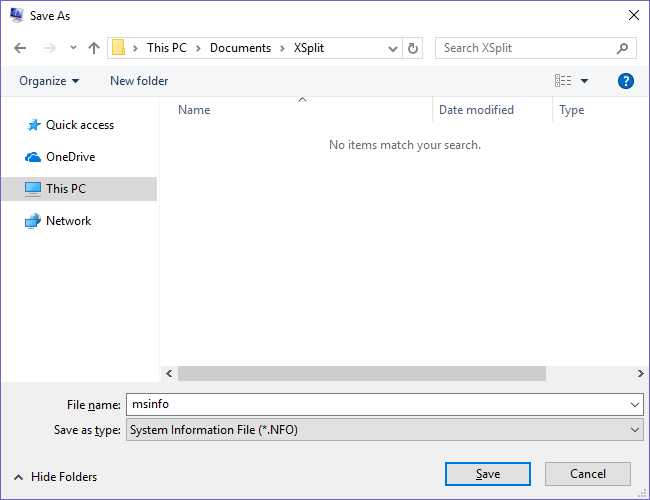 Make sure that the Save as type is set to System Information File *.NFO as well.